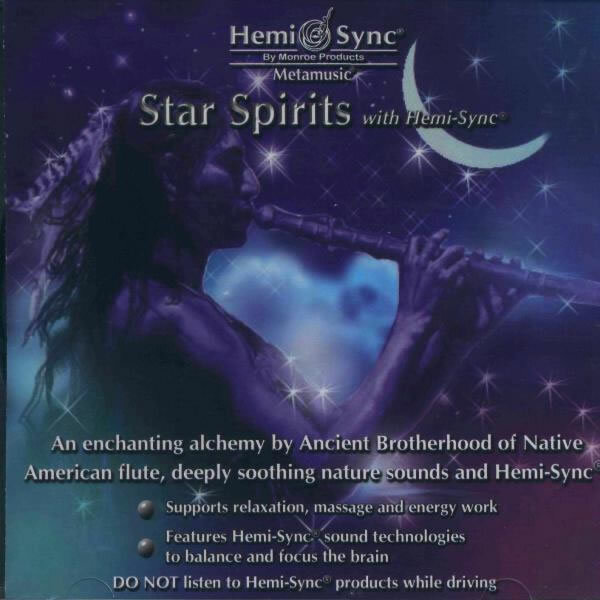 An enchanting alchemy of Native American flute, deeply soothing nature sounds and Hemi-Sync®. Stress and tensions melt away as you listen to the music of Gerald Jay Markoe's group, Ancient Brotherhood, against a background of ocean waves, babbling brooks and waterfalls. Crickets, tree frogs and other "sounds of the night" deepen your relaxation as does a soft "heartbeat" medicine drum played at 60 beats per minutes. Use for massage and energy work or anytime you feel the need to relax and recharge. Instruments featured: Native flutes, synthesizers, medicine drum and nature sounds. Another Metamusic® title by Gerald Jay Markoe's group, Ancient Brotherhood, is Where the Earth Touches the Stars. Recover energy, stress relief and relaxation, massage and subtle energy work.